Photo caption H.E. 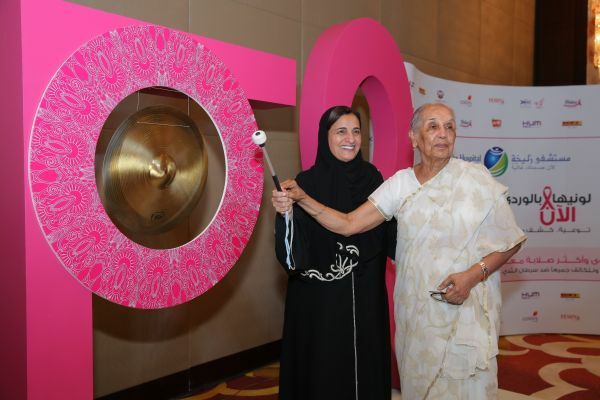 Sheikha Lubna bint Khalid bin Sultan Al Qasimi, Founding Board Member of Friends for Cancer Patients (FoCP), and Dr Zulekha Daud, founder of Zulekha Hospitals, launch the ‘Pink It Now’ campaign. In supporting and furthering global efforts being undertaken during the International Breast Cancer Awareness Month (BCAM), Her Excellency Sheikha Lubna bint Khalid bin Sultan Al Qasimi, Founding Board Member of Friends for Cancer Patients (FoCP), has officially launched Zulekha Hospital’s breast cancer screening and prevention campaign, ‘Pink It Now’, aimed at advocating early detection and reduction of deaths from cancer across the UAE. “I take this opportunity to thank Her Highness Sheikha Jawaher bint Muhammad AlQasimi, wife of His Highness Sheikh Dr Sultan bin Muhammad Al Qasimi, the Ruler of Sharjah; Founder and Royal Patron of FoCP, International Ambassador for the World Cancer Declaration of the Union for International Cancer Control (UICC), International Ambassador for Childhood Cancer for UICC and Patron of Global NCD Alliance Forum, for the pioneering role Her Highness’ has played in spearheading Sharjah’s and the UAE’s ongoing battle against cancer and other NCDs," Sheikha Lubna added. According to a WHO World Cancer Report, breast cancer has a substantially higher incidence than any other type of carcinoma. In 2012 alone the disease affected 25.2% of the world’s female population, with 14.7% fatal cases. The UAE registered 568 incidences of the disease, a rate five times higher than those of cervical or colorectal cancer. “Many women in the UAE still hesitate to attend regular cancer check-ups and they make medical appointments only when they are unwell. This puts their health at risk, particularly in view of the fact that breast cancer is the most common form cancer in women worldwide. 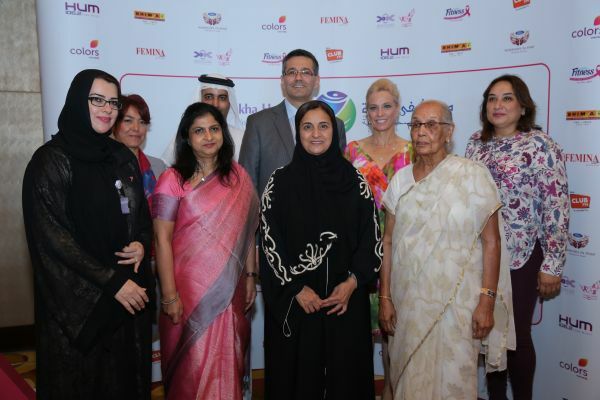 From left to right: Zulekha Hospital’s ‘Pink It Now’ campaign organisers and ambassadors: Dr Sawsan Al Madi, FoCP; Ms Sue Nigoghossian, Ford MENA; Dr Mansoor Anwar Habib, du; Mrs Neeta Bhushan, DCM, Embassy of India; Martin Kelly, US Consulate General Dubai; H.E. Sheikha Lubna bint Khalid bin Sultan Al Qasimi; Dr Pamela Munster, University of California, San Francisco; Dr Zulekha Daud; and Ms Zanubia Shams, Co-Chairperson of Zulekha Hospitals. From left to right: Zulekha Hospital’s ‘Pink It Now’ campaign discussion panel: Dr Mona Azmy Zakriya Hassan, Zulekha Hospital Sharjah; Ms Sue Nigoghossian, Ford MENA; Dr Betty John and Dr Fadi Alnehlaoui, Zulekha Hospital Sharjah; Dr Tarek Alkhouri, Zulekha Hospital Dubai; and Dr. Pamela Munster, University of California, San Francisco.